Where Do Most Nurses Work? Watch for the upcoming release of the allnurses annual salary survey, June 14th. Our interactive graphs will let you see how many demographics might affect the salaries that nurses receive. One of the questions we queried our audience about was what type of facility do you work at? For-Profit or Not-For-Profit? Slightly more than half of our 18,600 respondents work at a not-for-profit institution. Then we coupled this with another question: What type of environment do you work in? Again, not too surprising 56% of the nurses that answered our survey say they work at a hospital. The second highest group works for long term care facilities. I guess it shouldn't be a big surprise since the baby boomers are reaching the senior adult status in mass numbers and are requiring care provided by LTCs. According to the Bureau of Labor Statistics, 61% of US nurses are employed by hospitals. This is quite similar to our survey where 56% of the respondents said they worked in a hospital. A tandem question on our survey asked: Do you work full time or part time? Both surveys show that most nurses work full-time. Do you work full-time by choice or necessity? Doing a search on allnurses provided many topics on the subject. And while there are many schedules to accommodate many situations, most of us agree that flexibility is one reason to be a nurse. What is your ideal schedule? What is your ideal work-place? Don't miss the nursing salary survey infographic and related articles. How much are nurses making? 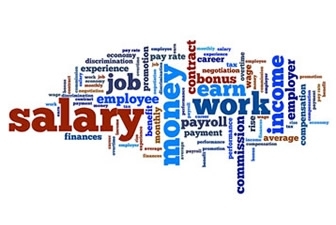 2015 Salary Survey results available soon. Although women dominate the nursing profession, do men make more money? BSN and Associate Nurses are Neck and Neck. Will this change? I joined this group for support and information. But for the most part when a nurse makes a comment there seem to be more negative comments that positive. I saw alot of negative comments on a person in her late 40's going into nursing tell her she shouldn't go it would be hard for her, even though she was in great shape or last one I read was a nurse who was called in as a cna who just wanted to know if the administration could do that. All the response were negative. Before anyone say anything about constructive criticism. We as nurses always complain how patients, family members, other healthcare professionals and administration treat nurses unfair but we as nurses are the first to criticize each other. What a shame. But regards of negative people I am returning to school to complete my BSN in 2017. I am LPN 44 years old and will graduate at 48. Roy Hanson has 36 years experience and works as a Retired. plain English please. Be proud of where you work. I work in a SNF. The biggest change in our population I have noticed in recent years is that we no longer get as many post knee or hip surgical patients. These admissions used to be by far our most common short term rehab residents. It seems most of these relatively stable patients now go directly home and do their rehab via outpatient or in home therapy. About the only post surgical admits we get now are those that had some complications. Most commonly post-op infections requiring IV antibiotics and/or complicated or frequent dressing changes. I would be curious to see in the coming years how many more nurses are working in the home health setting since insurance doesn't seem to cover in facility rehab like it used to. armyicurn works as a jack of all trades. Is there a 2014 survey data results article? I'd like to see it.